To date, 11 countries – China, Ethiopia, Gabon, Kenya, Marshall Islands, Mexico, Monaco, Morocco, Serbia, Singapore, and South Korea – have included adaptation in their INDCs. The United States and European Union have submitted “undertakings in adaptation planning,” a formal submission outside the INDC process that was also invited in the Lima decision. This degree of attention to adaptation issues foreshadows what is likely to be an enhanced focus on adaptation in the Paris negotiations. Countries have a great deal of flexibility in the kind of adaptation information they share, and their rationales for including adaptation may differ. Some may wish to communicate advances in adaptation planning and action, highlight the vulnerability of important economic sectors, or demonstrate their readiness for various forms of international support. Some may also wish to raise the general profile of adaptation action in order to encourage and support the idea of a long-term goal on adaptation in the international agreement. Continue reading at the World Resources Institute. 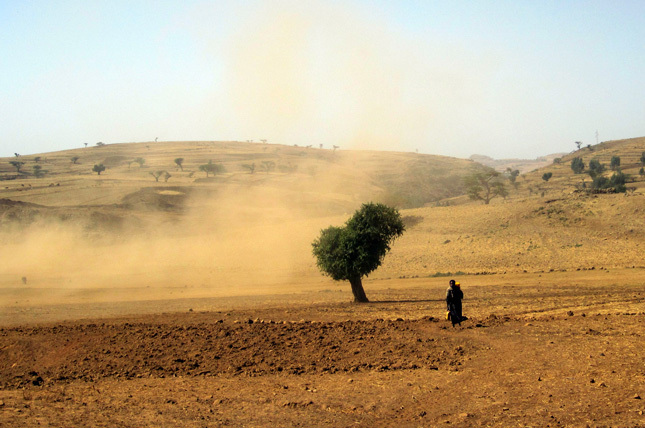 Photo Credit: Deforestation and erosion in Senbetge, Ethiopia, courtesy of the European Commission DG ECHO. Topics: adaptation, China, climate change, COP-20, COP-21, environment, Ethiopia, Europe, European Union, Gabon, international environmental governance, Kenya, Mexico, mitigation, Morocco, Singapore, U.S.